Many people don't realise that the microbes (which is the word for organisms that are too small to be seen with the naked eye - bacteria, archaea, fungi, protists, and viruses) that live inside our gut play an incredibly important role in our health. Essentially we are like walking coral reefs, with entire ecosystems within us! And we must respect our microbes: our gut microbes are needed for digestion, detoxification, making neurotransmitters and vitamins and providing an appropriate immune response. This community of microbes can actually be thought of as an extra 'organ' which we call our "microbiome”. Study of the human microbiome is a rapidly advancing field of science with new and exciting discoveries emerging constantly. Rest assured you will be hearing plenty more about the microbiome in years to come. The collection of microbes that constitute the microbiome is not random; the human microbiome is made up of a particular set of microbes that complement each other and the human host. Systematic study of the human microbiome is a very young science and scientists are just beginning to address the questions of what constitutes a normal microbiome, how the microbiome changes over time, and how the composition and activity of the microbiome affect health and disease. What is already clear is that the effect of the microbiome on its human host is profound. When your microbiome is balanced, this strongly promotes good health. When your microbiome goes out of balance, many diseases can be associated. I would argue that there are very few conditions where the role of the microbiome is not relevant, and its discovery will have to change the way we look at disease. But what constitutes a balanced microbiome? We don't yet know. Bifidobacterium seems to be protective in a few studies, along with other bugs such as Bacteroides. But there are undoubtedly complex interactions between the different species, some known and some not, which are essential for a healthy microbiome. And some of these commensals may be important for some functions and others for other functions. 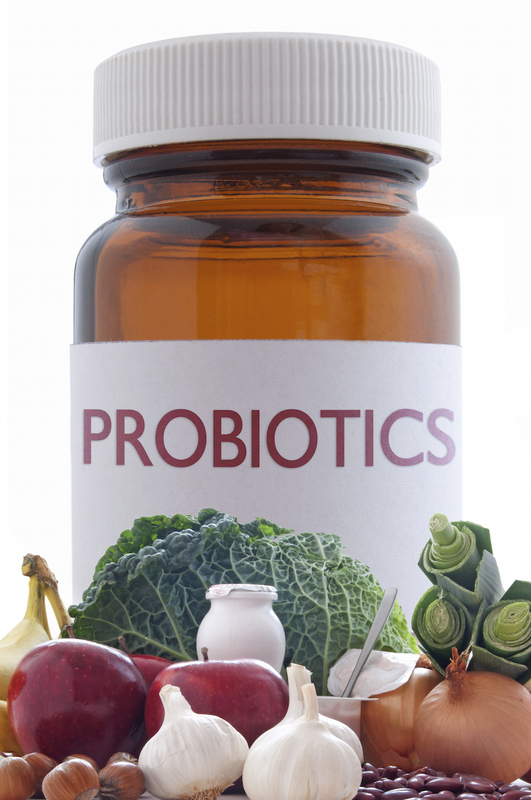 I.e., the answer is not simply to take certain probiotics (which may be helpful), but rather to do everything we can to preserve the microbiome naturally. So how do you do this? There are 500-1000 different species of microbes in our gut; we initially get our microbiome from the womb, the delivery process and breastfeeding. This alters throughout our life and our diet rapidly alters our microbiome. In 2011, researches gave two groups very different diets: the first was high-protein with lots of meat, the second was high-fibre with lots of fruits, vegetables, grains, and beans. Bacterial analysis of faecal samples collected before, during and after the experiment showed that what each group ate had a huge and rapid effect on their gut bacteria: each group developed the type of bacteria that would help them digest the particular types of food they had just eaten. I do not believe that most people have to exclude any food groups and on the contrary we want to be eating varied diets, but we cannot continue to consume diets over-rich in refined flour, sugar, unhealthy fats, additives, preservatives, artificial sweeteners or far too much meat, because those ingredients feed exactly the wrong kind of bacteria. Having an abundance of different species is very important. A good microbiome richness is associated with greater ability to deal with stressors such as infections or poor diet. Reduced microbiome richness (seen in frequent antibiotic use, ageing, diets low in plant fibre, overuse of antibiotics) is associated with obesity, insulin resistance and poor cholesterol profiles. Individuals with reduced microbiome richness showed a more pronounced inflammatory phenotype when compared with high-bacterial-richness individuals and a reduced microbiome diversity has been associated with acne, antibiotic-associated diarrhoea, asthma/allergies, autoimmune diseases, dental cavities, depression and anxiety, diabetes, gastric ulcers and hardening of the arteries. Don’t kill off your microbial diversity with processed foods, factory-farmed meats and only take antibiotics when necessary. Do eat as many vegetables as possible and indulge a bit in traditionally produced cheeses, which are rich in microbes.Eat pre and probiotic foods. Prebiotic foods include artichokes, garlic, beans, oats, onions and asparagus.Probiotic foods include sauerkraut, kim chi, kombucha and pickled vegetables. A study found that artificial sweeteners induce insulin resistance by altering the gut microbiota. Anti-acid medications (proton pump inhibitors) have been consistently associated with changes towards a less healthy gut microbiome.